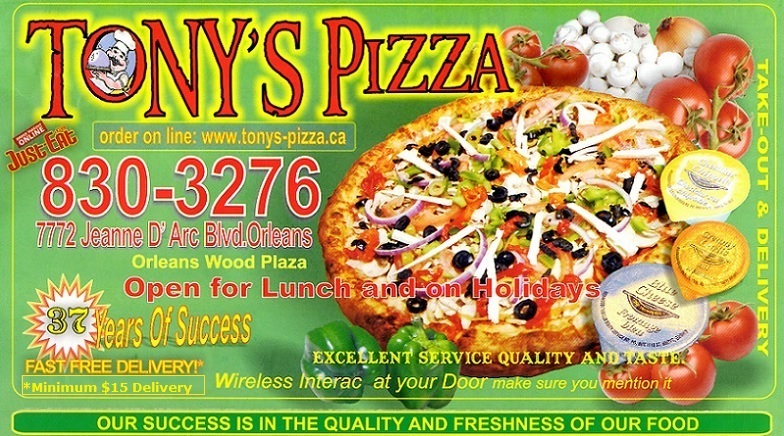 ﻿ Tony's Pizza - 613-830-3276 - Serving the best pizza in Orleans for over 35 years! Serving the best pizza in Orleans for over 37 years! Sunday - Wednesday: 11 a.m. 1:00 a.m.
Thursday - Saturday: 11 a.m. 2:00 a.m.